Good hand hygiene, according to the U.S. Centers for Disease Control and Prevention, is the single most important thing we can do to reduce the spread of bacteria and infectious illness. With that in mind, what happens to hand hygiene at the beach? A day at the beach usually includes hand contact with sunscreen, sand and ocean or lake water, so how can we clean our hands adequately before taking a bite of lunch? Scientists have shown through experiments that wastewater bacteria in sand take much longer to decay than in water. Considering that both ocean and lake water and beach sand may harbor bacteria, the answer is neither to simply rinse our hands in the waves nor just rub sand off before eating. We suggest a trip to the public rest room at the beach for hand washing hygiene. If rest rooms are unavailable, the next best thing could be applying hand sanitizer after rinsing in the waves. To the extent possible, use a paper napkin or food wrap to act as a barrier between hands and food, and avoid touching your eyes, nose and mouth. 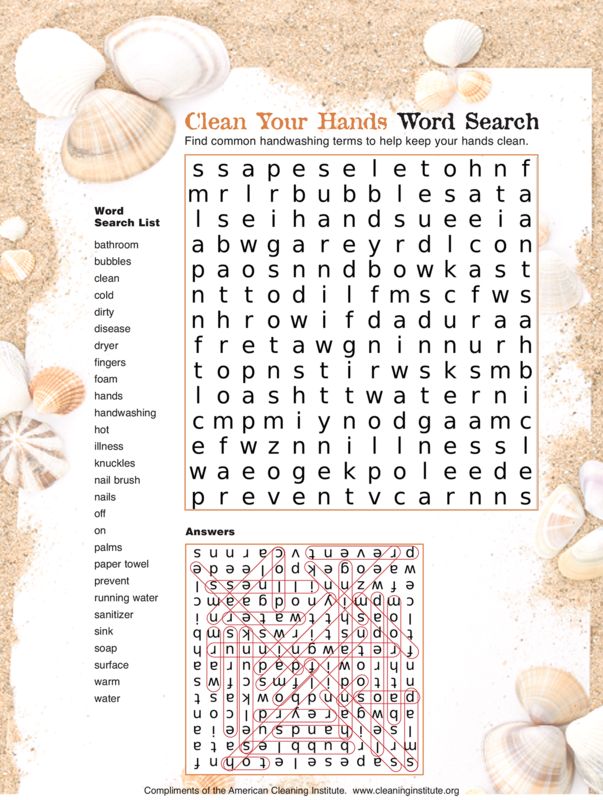 Armed with these tips, enjoy the water and the sand at the beach and the “Clean Your Hands” Word Search below, compliments of our friends at the American Cleaning Institute. 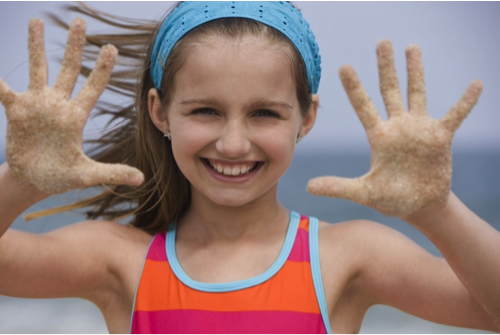 Preventing the spread of beach bacteria with good hand hygiene can be simple and rewarding.